Did you make a resolution to eat healthier this year? Why not start with breakfast? You’ve heard it before, and I’ll say it again: breakfast is the most important meal of the day! Don’t skip it! It gets your brain and your metabolism going, and it will always benefit your health and mood to eat something to start the day. If you ate something, that is progress. Keep up the good work. 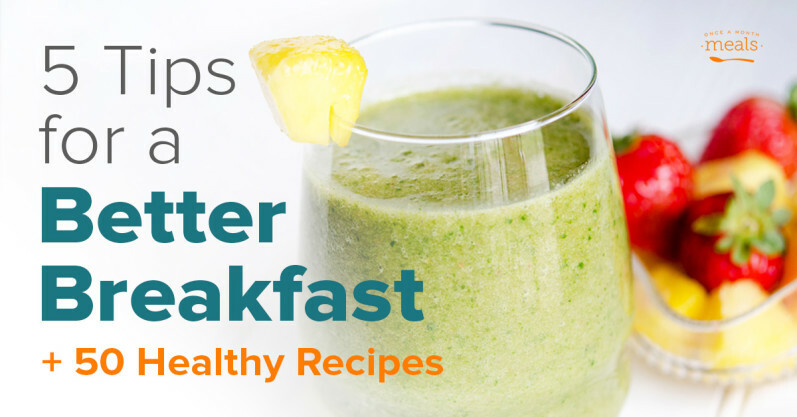 But we have some tips for a better breakfast, plus 50 healthy recipes to inspire you. The best part is, all of them can be cooked and frozen ahead of time! Plus 50 Healthy Recipes to Get You Started! The best way to hit your quota of veggies for the day is to start off with serving #1 at breakfast. I know that many of us prefer the sweetness of fruit, but greens are easily incorporated into smoothies and pair wonderfully with eggs and bacon. Spinach and kale are popular choices, and both are packed with nutritional goodies: iron, fiber, vitamins A, B, C, and K, calcium (important for those who are dairy free), folate, and trace minerals. The antioxidants in greens assist in detoxifying the body, which will help you feel better and boost immunity. I love carbs as much as the next foodie, but there is no denying that they often leave me feeling hungry before it is lunch time. Protein keeps you full and makes your brain sharper, but it is also one of the building blocks of life! Your body needs it to build complex hormones, fight disease, and even build new cells. Don’t forget, you can add protein to an otherwise carb heavy meal – think eggs, meat, nuts or even beans. Whole grains are less processed, meaning they contain more of their original nutrients, flavor, and they take longer to break down in your body, keeping you more full. Don’t just stop at whole wheat! There are many other whole grains to incorporate such as oats, buckwheat, or rice (all of which are gluten free.) Our Real Food menu uses only whole grains. Sugar is never your friend, but especially not at breakfast. Once that unnaturally sweet stuff hits your tongue, you will be craving it for the rest of the day. The previous 3 tips will really help you move forward into this one. Let greens, protein, and whole grains take the place of sugary cereals, drinks, and bars at your first meal. If you do eat something sweet, try fresh fruit or a fruit smoothie, or try making substitutions with natural sweeteners like honey and maple syrup like we have in these “makeover” recipes. This is the whole reason why Once a Month Meals exists: to help you freeze food ahead of time so that you can have both convenience AND wellness! Make your life easy by eating from the freezer. Reality proof your meal plan! All of our featured menus include 3 breakfast recipes. Or you can cook one of our Breakfast Mini Menus just to get you started with this one, important meal. Of course you can customize any menu to include more breakfast options, or create your own breakfast menu! 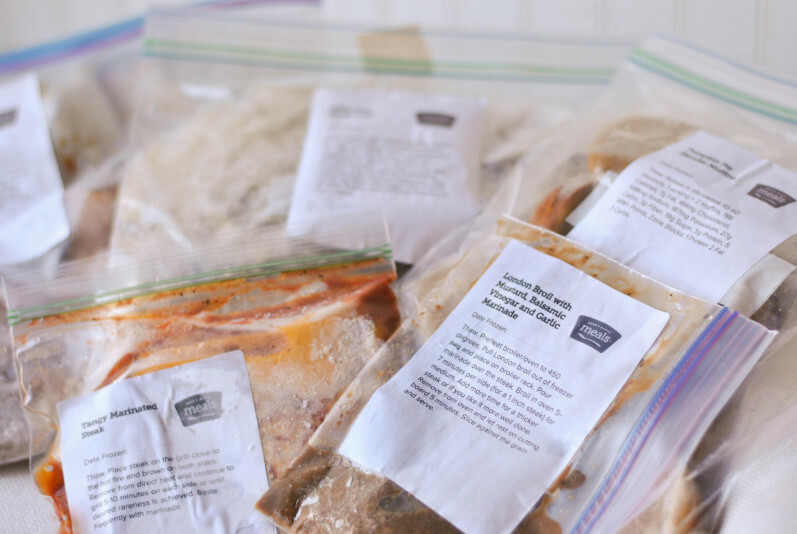 If you are new to Once a Month Meals, learn more about how freezer cooking works HERE and more about our membership HERE!